Premium Themes vs Free Themes – Is it worth paying for a Theme? People often get confused about this choice. There are a lot of tutorials that explain the pros and cons of both free and premium themes, so at the end you may still be wondering what to choose. But we like to keep it real and clear 🙂 . They both have advantages and disadvantages anyway. So let’s see some of the primary cons and pros about them. First thing first, these themes are FREE! Everyone is cool with this term. You don’t lose anything from these themes, even if you may consider the time loss. You can’t lose practically nothing while working or experimenting with WordPress. Everything remain a future lesson, a good or a bad one, especially if you are a beginner who just started to work with wordpress. Due to the fact that they are free, can be a good option to experiment with. Even if you aren’t happy with it, you can just uninstall it like it never happened. One may think that these theme are not very good and professionally created. But in general these themes are represented by a high quality and standard, because of the powerful theme review rules. Of course this is only verified for the free themes that you find on the official directory WordPress.org. There are many reasons why the theme developers offer them for free. They learn from publishing a theme on a large user base and receive many suggestions and feedback, which are always good for your growth as a developer. So let’s not judge them for selling their themes for free. Not very good support options. You can always get support from WordPress.org, but you can’t ask specific questions about theme and wait for a right answer from the developers, because they do not offer support for free themes. So you should figure it out yourself if your site crashes down. With thousands of free themes downloaded every minute, you can’t expect your site to be unique. Most of these themes have a poor coding, are not rich in features, do not have so many customizations, do not offer a versatile design or options and you may find it hard to have a well responsive website. Updates! Not a good point for these type of themes. May cost a lot of money to repair or customize something. Most of them are created to learn of just for fun, and even they are more professional, the fact that they are selling these themes for free, it means that no specific coding structure or functionalities are created to protect them from hacking. Sorry free themes! So you choose between the pros and cons in the end! Let’s review the premium wordpress themes now. 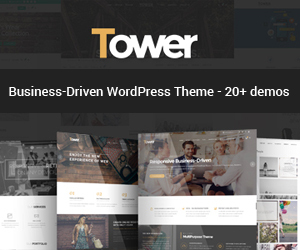 The biggest market to find premium wordpress themes is Themeforest, on Envato market. Search for any type of theme or template you wish and this market will always have an answer. It is just amazing how flexible and great Envato Market works. Premium Themes come on all shapes and sizes, all forms and structures, all purposes and functionalites, all features and methods of coding, so it is a big, not ending circle full of options! There is a big competition on the market, so everyone try the best to step up their game. Usually the premium themes, according to rates and reviews, represent a higher quality than free themes. Even if is not so, you will know it because of the funds, plugins and features that they are using. But usually you can never go wrong with a premium theme. Even if you are not pretty satisfied, you can ask or suggest something at their support forum. Every premium theme support their product. They just have to, you are paying them! Comparing to free themes the time loss while working with these themes, is lower. Generally premium themes come with an extensive documentation, video tutorials, audio support and a lot more. You get a specific design according to the purpose of your website, there are single purpose themes and multipurpose themes. You just need to choose. Premium themes comes from a good coding and you don’t have to worry about responsivity or hacking protection, comparing to free themes. Updates are a normal thing to do for these themes, it is an obligation somehow. 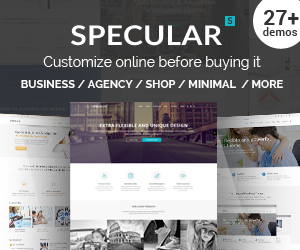 They may vary from $2 to $200++, so for the sake of price, you will have the chance to expect an unique website at the end. They are tested on a long strick review process, which it may take some days, so you already know the quality that they offer. 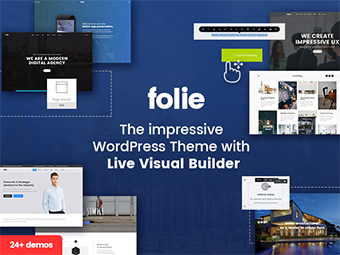 Mostly the premium themes include plugins or other features for free on their package, so you should consider this as a big advantage, due to the fact that they are already compatible with the theme and it is a money saver strategy. SEO , translation and speed optimization are more guarantied with premium themes. Let’s face it out: these themes have some cons anyway. The pricing of course! They may cost a little or a lot. So you choose. They usually are bloated in features and functionalities. So if you are a beginner it may sound a little confusing. They may not offer what their documentation says. Even these themes may have a poor coding. Premium themes author often claim to offer something unique and innovative. But when reviewing them, they sell quite the same. You have all your right to be confused at the end and ask yourself : Is a theme worth the price? We will put up a simple conclusion for you : buying a low-medium cost premium theme with a trusted author. You probably may choose one of the popular files on the market, because of the popularity, but this does not stand as a trusted advantage sometimes. Always search for the thing you need for your website, the features, the structure, the design and find the perfect theme for you according these. Full support with a qualifies staffing. New features that you may benefit from. All functionalities on one place. Well organization. premium themes are the winner of this comparison for us. Definitely worth spending those money with it! With so many reviewed themes everyday, these are some things that all of them accomplish. What is your choice 🙂 ?